Is there anything more frustrating than coming upon a construction zone while you’re trying to get somewhere? These areas can be congested, confusing, and dangerous even for the most skilled and defensive drivers. Unlike other states, where construction is typically performed only in the spring or summer months, Arizona has construction year-round due to its temperate climate. This means you can come upon a work zone at any time during the year, and all the dangers that come along with it. Work zone safety is important for drivers and it’s important for construction workers. With workers performing construction in such close proximity to motorists, any car accident can quickly turn tragic. At Plattner Verderame, P.C., we protect the rights of victims and understand the pain and suffering of those injured in work zone accidents. 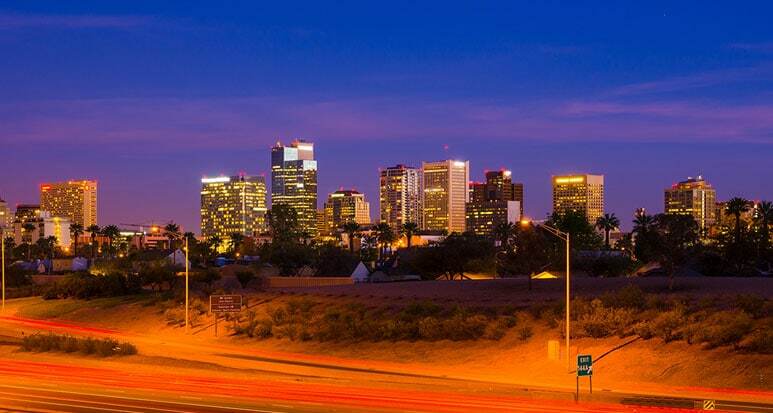 Our Phoenix legal team is dedicated to investigating all aspects of your case and holding liable parties responsible. Talk to us today about your accident and we’ll talk to you about your legal options and how we can help. What causes Arizona construction zone accidents? First, let’s look at some statistics. In 2015, the most recent estimates, there were more than 96,626 crashes in work zones across the country. Six hundred forty-two of these crashes involved at least one fatality and nearly 26,000 crashes involved at least one injured party. Why are there so many accidents in construction zones? Construction zones are inherently difficult to drive in, as they can be an abrupt change in regular road conditions. Distracted or careless drivers—or bad or missing signage—plus changing road conditions can be a deadly mix. Following are a few of the most common causes of work zone accidents. As you likely already know, traffic in a construction zone can be stop-and-go. Speed limits are typically much slower in work zones, and these posted speed limits are for the safety of both the construction workers and the drivers. With traffic that continually slows down and speeds up, some drivers may be tempted to speed up too much, and heighten the risk for accidents. Most construction zones require a drop in the speed limit, and it is important that drivers adhere to the lowered speed limit or they’re risking a hefty ticket as well as a dangerous collision. A huge threat to the safety of construction workers, and other drivers, is lack of awareness to conditions. Active construction zones usually have slow, large work vehicles or machines close to the edge of the roadway. These will sometimes move directly into a motorist’s path, so it’s crucial that drivers are always aware of what’s going on around them when they’re in a work zone. These slow-moving vehicles usually have large blind spots, so when a driver is in a construction zone, they should always be ready to react. If they aren’t paying attention, hasty braking or swerving can cause a multi-vehicle accident or worse. When entering a construction zone, merging traffic from two or three lanes down to one is probably the most frustrating and what causes the most slowdown. Inattentive drivers approaching a merge while speeding or, worse, not paying attention at all, can cause rear-end collisions or side-impact accidents. Impatient or distracted drivers may ignore (or not even notice) posted signs or caution signals in work zones or signs warning drivers of upcoming work zones. These people are dangers to other drivers, themselves, and workers, especially when they ignore signage about changing road conditions or detours. There are myriad hazards within work zones of which drivers should be aware. Pinpointing liability in construction zone accidents can be difficult, due to all of the factors involved. Your Phoenix personal injury attorney works with you to get to the bottom of exactly what happened and hold the negligent parties responsible. Construction workers injured in accidents with motor vehicles in construction zones may also be eligible for personal injury lawsuits. Talk to one of our attorneys today about your specific situation. The legal team at Plattner Verderame, P.C. are ready to help when you’ve been injured in a work zone accident. Our lawyers are experienced, dedicated, thorough, and fight for the rights of those who have been injured due to the recklessness of another. If you’ve suffered injury in a Phoenix construction zone accident, please don’t hesitate to call us at 602-783-8793, or contact us today. Consultations are free. We take cases on a contingency fee basis, which means we only get paid if the case settles or we obtain a verdict on your behalf.